 While Threshold is a member of the Evangelical Presbyterian Church, we consider ourselves Presbyterian with a small “p.” While we have chosen to practice submission to authority within the EPC denomination – because we believe it’s unhealthy for any church or pastor to be an authority unto themselves – for us, it’s about sharing a common faith, not about a label. The motto of the EPC is “In essentials unity, in non-essentials liberty, in all things charity.” We’re on board with that! Below are the Seven Essentials of our Faith written in everyday language, if you are interested in reading a more formal version, please click HERE. We share these faith essentials with EPC denomination. The motto of the EPC is “In essentials unity, in non-essentials liberty, in all things charity.” We’re on board with that! The Bible is God’s completely true Story about who he is, what he has done, what he is doing, and what he will do. It was given by God to human writers and so reflects their backgrounds, styles, and use of language. The Bible is the final authority on all matters to which it speaks. There is one God, who exists as three persons living in perfect community – Father, Son, and Spirit. God created everything and sustains everything by his life. He is holy, all-powerful, all-knowing, unchanging, and full of mercy and grace. Jesus Christ, God’s Son, became fully human when he was born to the Virgin Mary. He was fully human and fully God. He lived a perfect life in place of our imperfect lives; died, as our substitute, the death we deserved to die because of our selfishness; and physically rose from the dead. He offers us full life by the promise of his own resurrection. He then ascended into heaven and today is our representative, intercessor, and advocate with God the Father. We experience the full life and presence of God in our relationship with God the Spirit, who convicts us of sin, points us to Christ, and applies Christ’s work to our lives. He gives gifts and power to the church and he is the one who creates biblical community in the church. He reveals truth and guides our lives, individually and together. We are connected to God in only one way – by choosing to accept the offer of forgiveness and reconciliation God offers to us by Christ’s life, death, and resurrection. If we ask him to, God treats us as if we were Christ, because he treated Christ as if he were us. God’s gift of grace makes us his adopted sons and daughters. There is nothing we can do to deserve this life – it is all a gift of God, and our job is simply to receive it. When we do, God begins the process of changing our hearts and minds from the inside out and making our characters more and more like Jesus’. And as we have been reconciled to God, we also have hope for being more fully reconciled to other people. In his own time and in his own way, God will bring the world as we know it to an end. According to his promise, Christ will return personally and visibly to judge the living and the dead and to begin the new era of God’s universally visible reign which will last forever. If we are in relationship with Christ, we are part of the church. The church is universal, but is always expressed locally. The church is the visible and local demonstration of the new community Christ came to create. The Spirit leads our community life as we are devoted to worshiping God, understanding and applying the Bible to our lives, offering connection to others, living life together, serving our community, and using our Spirit-given gifts to serve Christ and others. The church celebrates the Sacraments (Baptism and Communion), which are gifts given by Christ and are experiences of his promise and his presence with us. The church is made up of imperfect people who are responding day by day in all their relationships to God’s stunning grace. The main responsibility of the church is to offer connection to people outside of relationship with Christ by offering Christ’s full life and helping those who respond to become people who follow Christ with their whole hearts.